Here at The Bride Room we have a Paper Problem...that is, we LOVE it unnaturally! All things stationery....cute wedding invitations.... fabulous thank you notes....truly, we have teared up at some cards we've seen come through here! 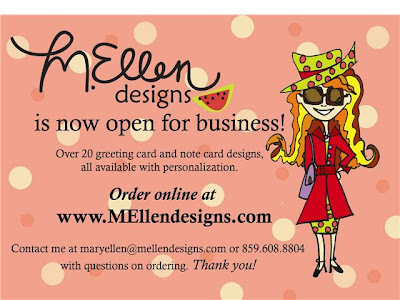 So we're excited to share this little treasure with you: mellendesigns.com ! An invite for a bachelorette party, perhaps? A congratulations for a friend? You can personalize these cuties for your bridal party gifts....or thank you notes for your guests....oh! the possibility! !